Tired of cooking? This refreshing salad is quick and simple and requires no cooking! 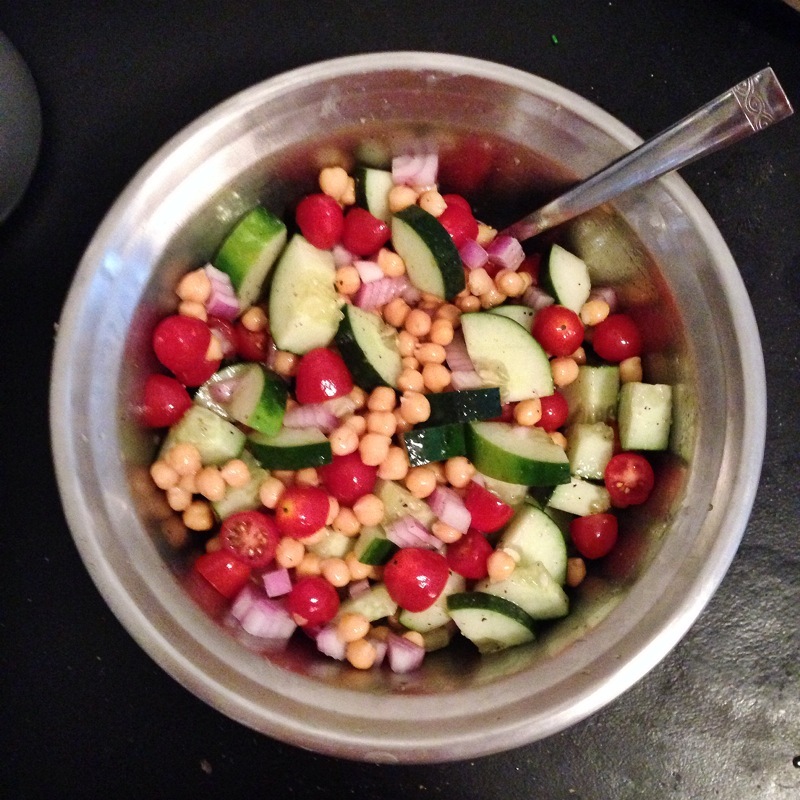 One of my favorite cold salads and I usually have the ingredients on hand. Combine all the ingredients. Serve chilled or eat with a chicken breast for some extra protein!